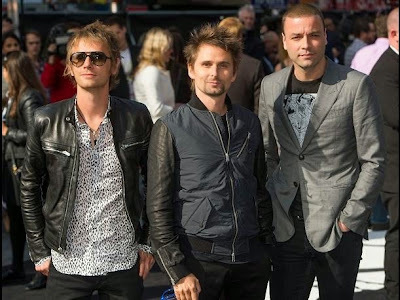 The British boy band Muse announced the release date off its upcoming album "Drones" and the first single titled "Dead Inside". The English rock band Muse announced that its new studio album, entitled "Drones", will be released on June 9, while the first single "Dead Inside" will be available to purchase on March 23. This album "explores the journey of a human being from their abandonment and loss of hope to their indoctrination by the system to be a human drone, and betrayal by their oppressors," said frontman Matt Bellamy , in an interview with a news producer at Warner Music. The drones are for Bellamy "metaphorical psychopaths that allow psychopathic behavior without any choice. The world is run by using Drones to turn us all into Drones ". The new work of the band co-produced by Robert John "Mutt" Lange, may be ordered in advance on iTunes tomorrow, which will give the possibility to download immediately one of the themes of the album "Psycho". The group also announced six concerts in the UK, which offer small rooms and will start the 15th of this month in Belfast, while in July they will perform at the BBK Live festival in Bilbao (Spain). Muse, whose previous studio album, "The 2nd Law", was released in 2012 has sold over 17 million albums worldwide.